Introduction to Logic is a proven textbook that has been honed through the collaborative efforts of many scholars over the last five decades. Its scrupulous attention to detail and precision in exposition and explanation is matched by the greatest accuracy in all associated detail. In addition, it continues to capture student interest through its personalized human setting and current examples. 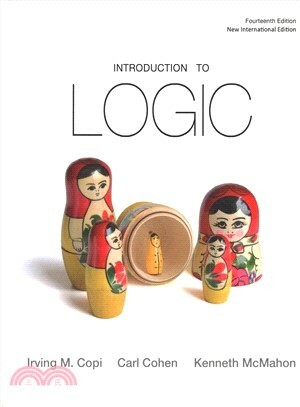 The 14th Edition ofIntroduction to Logic, written by Copi, Cohen & McMahon, is dedicated to the many thousands of students and their teachers - at hundreds of universities in the United States and around the world - who have used its fundamental methods and techniques of correct reasoning in their everyday lives.